The iftar and suhoor at the St Regis Dubai is in the hotel’s Le Patio restaurant – normally an outdoor space on the second floor of the hotel. For Ramadan, the hotel has transformed the restaurant with an air-conditioned tent. The interior has soft white and burgundy drapes with sofas and low level tables situated around the restaurant’s different water features. For iftar (running from sundown until 9pm) there’s a tasty Middle Eastern-themed buffet spread. Including everything from dates and soup to break fast, to a range of mezze (including staple favourites tabbouleh, mutable and hummus), a fantastic Arabic mixed grill along with a delicious range of local desserts. For the restaurant’s suhoor (running from 9.30pm to 2.30am), guests can order from an expansive a la carte menu, including traditional dishes such as saj manakish (cheese, labneh and turkey), to pasta dishes and quesadillas. There’s also Arabic juices and local coffee on offer. The team at Le Patio are on the prompt and on the ball, from the front of house, to table service throughout the evening. Staff could easily talk through the different dishes on the menu, and were quick to serve the first course and juices. The low lighting and water features create a serene relaxed atmosphere for guests to enjoy a post-fast feast. For art aficionados, there’s an exhibition called “Fragrance of Faith” curated by Dephine Meaux, in a gallery space surrounding the restaurant. 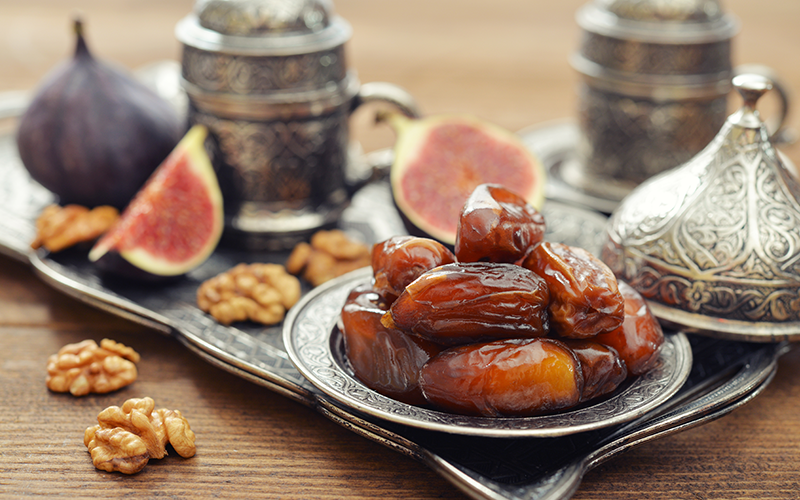 Details: AED 225 per person for Iftar, including three Ramadan juices, soft drinks and water. AED 150 minimum spend per person for the a la carte suhoor. For more information, visit Le Patio .